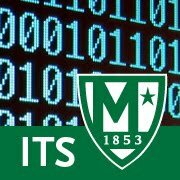 Be on the lookout for the release of Manhattan College's first student-created mobile app! Currently named Glance, the app was developed by ITS student interns to meet the needs of mobile users who always carry around smartphones and are looking for information for just-in-time needs. The app attempts to centralize access to Manhattan College services, events, and information into a single useful and convenient app. The target audience is students, but employees will find the app useful as well. "At a Glance" Search, the flagship feature of the app. The search, currently across campus services and the employee directory, uses a search product developed with mobile in mind, where search needs to be instantaneous and tolerant of typos. Search queries can be parts of relevant words, eg, tasks, departments, names, etc. As-you-type search predictions then contain deep-links to actionable items, insuring that the user can get directly to what they need in the shortest steps or clicks. A digital version of one's Jasper Card will be available via Apple's native Wallet / Passbook app. while users with Android devices can view the Jasper Card passbook pass via an alternate viewing mechanism. Beacon and bluetooth technology will notify mobile card users when they are in proximity to a location where the mobile version of the card is accepted. Future releases of the app will incorporate maps and campus locations, profile and class information, computer availability in the labs, dining menus and more. The app compliments the college's new website and intranet portal. ITS's Web and Collaboration group provides technical direction, oversight and other developmental assistance for this project. Marketing and Communication provides branding oversight and has compiled the campus services database used for the search. More on the availability of the app will be forthcoming.